I spent a few hours last night with some of the smartest writers I know. We meet regularly to critique each other’s manuscripts. Sometimes it’s a complete essay or short story. Sometimes it’s a chapter or two of a book. Always the writing knocks my socks off. I am honored to be in the company of these men and women. To be called a peer. Because that’s really what we’re doing when we critique manuscripts written by our fellow writers—it’s peer review. Maybe it’s not scientific like the many articles my husband (a physician) reviews for various medical journals. But the same or similar process applies to reviewing literary work before its publication. Peer review is the evaluation of work by one or more people of similar competence to the producers of the work (peers). It constitutes a form of self-regulation by qualified members of a profession within the relevant field. Peer review methods are employed to maintain standards of quality, improve performance, and provide credibility…. Peer review can be categorized by the type of activity and by the field or profession in which the activity occurs…. The first peer-reviewed publication might have been the Medical Essays and Observations published by the Royal Society of Edinburgh in 1731. 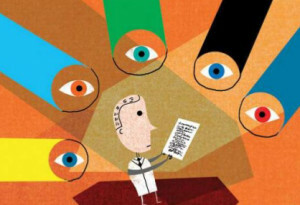 The present-day peer-review system evolved from this 18th-century process. It might have started in the medical profession, but in today’s ever-evolving world of literary publication, readers are still as important to the process as editors, agents, and publishers. 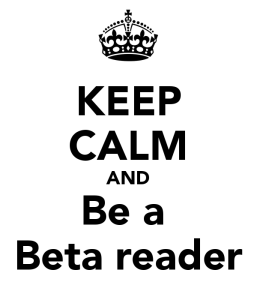 Sometimes called “early readers” or “beta readers,” our job is to help the writer make the manuscript the best it can be before she submits it for publication. The literary agent who has shown interest in my novel has several “readers” on her staff. 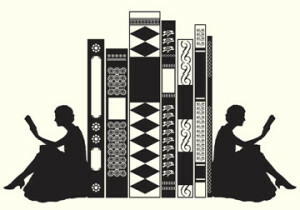 Small presses and university presses often enlist the help of outside readers. I was recently asked to review a memoir for a university press. My first reaction was, “but I’m too busy doing my own work.” About one second later I realized how selfish that sounded. I remembered that others had taken time to read and review my essays before they were published in several anthologies. I pictured my (very busy) husband laboring over articles written by his peers. Peer review. It’s just part of what we do. Trial by jury is a form of peer review. A few years ago I was called up for jury duty. Again, my first reaction was selfish—why should I give up my precious time for that? And then I thought about the jury I would want—a jury of my peers. Not a jury of folks who had nothing better to do. I would want people who are intelligent and live active, productive lives. Who are well read, sensitive, and compassionate. These are the same qualities I hope for in the people who read and review my writing. These are the qualities I strive for in myself as I accept the honor and privilege of reviewing the work of my fellow writers. Thanks for this Susan. It’s a good reminder of how we can give back, make an impact.